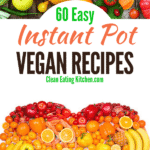 If you’re looking for Instant Pot vegan recipes, then you’ll love this ultimate guide with 60 easy and delicious plant-based dishes. I had the best time rounding up these Instant Pot Vegan recipes. 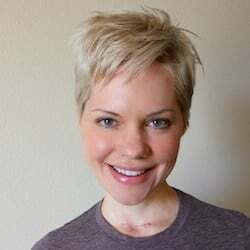 I turned to all my blogger friends around the web to contribute to this post. What we ended up with is a collection of 60 of the best easy and delicious plant-based dishes, all made in the Instant Pot pressure cooker. From soups to vegetable side dishes to desserts, I’ve got you covered with this epic round-up of vegan Instant Pot recipes. If you don’t have an Instant Pot and are ready to buy one, may I suggest the 6-quart Duo model that I have? I love it and it sells for less than $100 on Amazon. You should also check out my Instant Pot Accessories gift guide to take your pressure cooker to the next level. Speaking of Instant Pot healthy recipes, can I offer you my free Clean Eating Instant Pot e-book? Download it for free after you join my e-mail list. 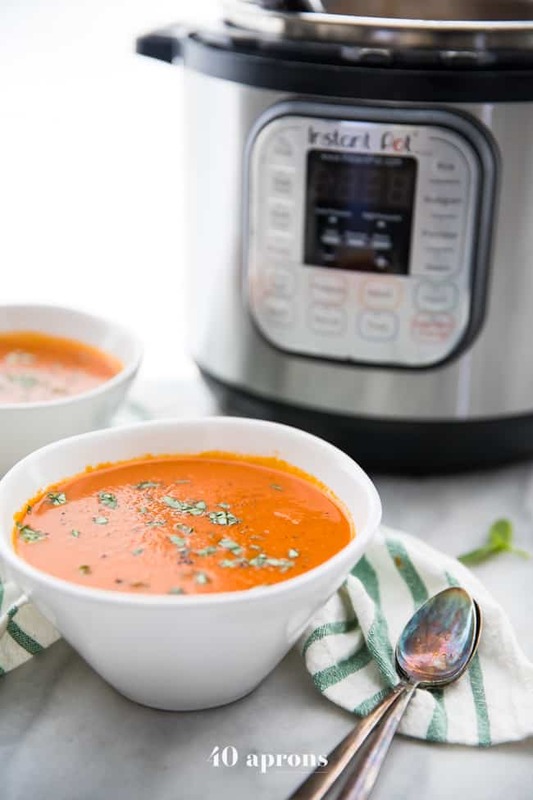 Vegan, vegetable-based soups are a snap to make in the Instant Pot. You literally just need your favorite veggie along with some broth. Once your soup is cooked, I recommend using an immersion blender to smooth out the texture of the soup. You can always add some cashew cream to give your vegan soup a wonderful dairy-free creaminess. Cooking beans, lentils, or rice in the Instant Pot is a bit trickier because you need to be more precise with the cook time. That said, as long as you follow a recipe, you’ll be fine. 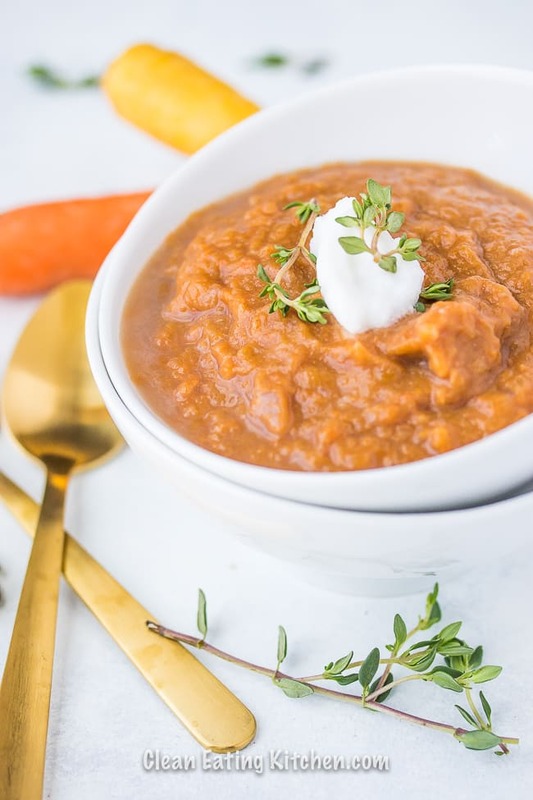 Here are some amazing bean, lentil, and rice-based vegan soups you can make in your Instant Pot. Cooking vegetables in the Instant Pot is just about the easiest thing you can make. You do need to be careful not to overcook your vegetables, so check out an Instant Pot cooking time chart ahead of time. Or, just follow one of these recipes for a healthy vegetable side dish. 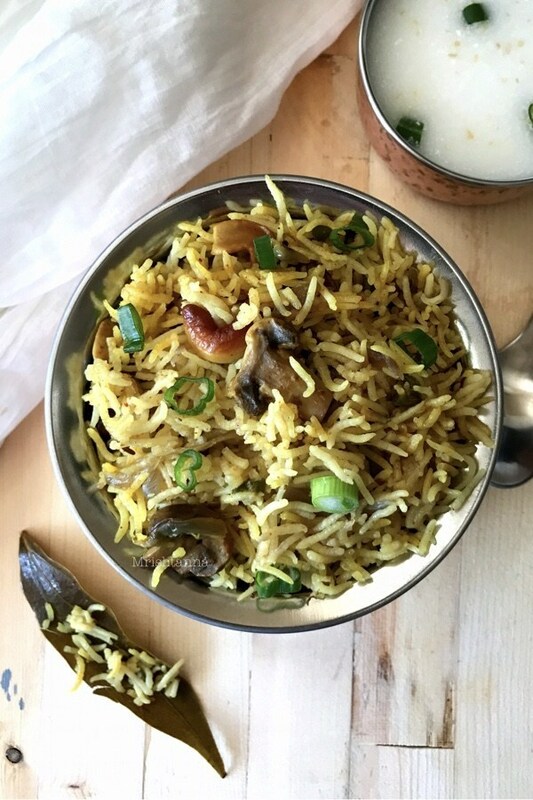 I gave away my rice cooker after I realize how easy it is to make rice in the Instant Pot. The same goes for other grains and beans – it’s just so easy. 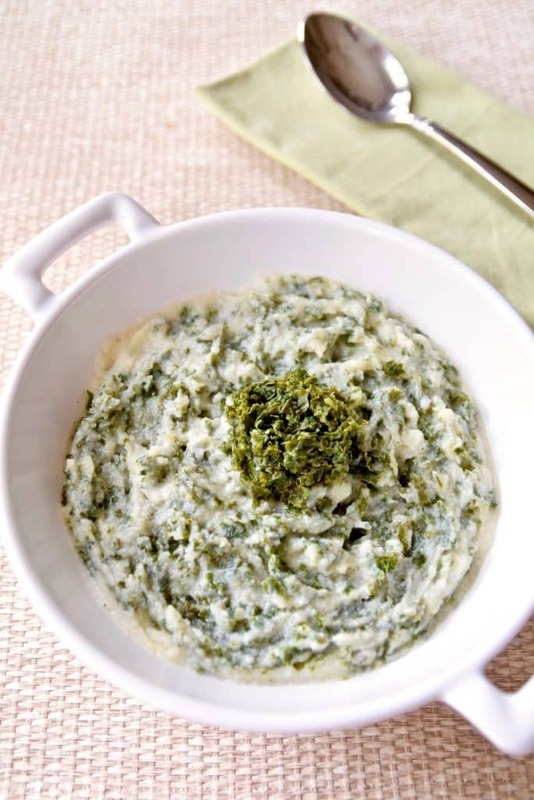 These recipes are all in the category of side dishes featuring rice, quinoa, or beans. Cooking potatoes in the Instant Pot is also a cinch. They turn out perfect, with no pricking or poking needed. 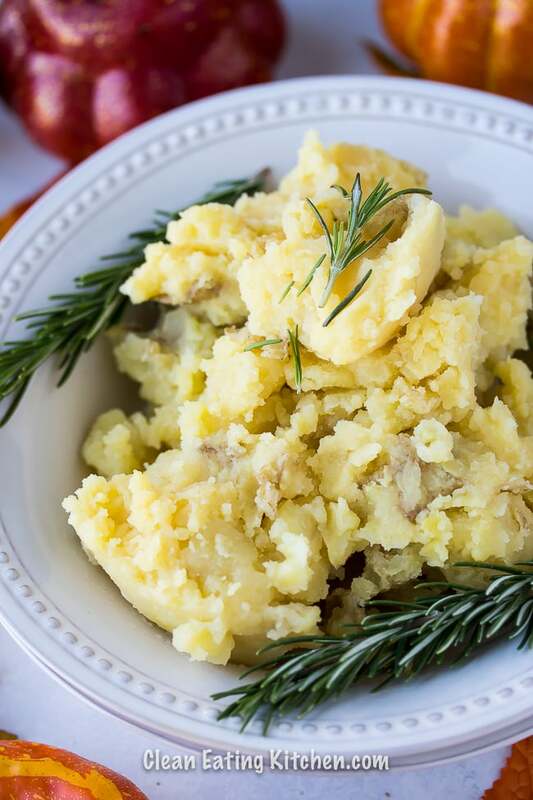 I make potatoes in the Instant Pot at least several times a week; here are some of my favorite vegan-friendly potato recipes. 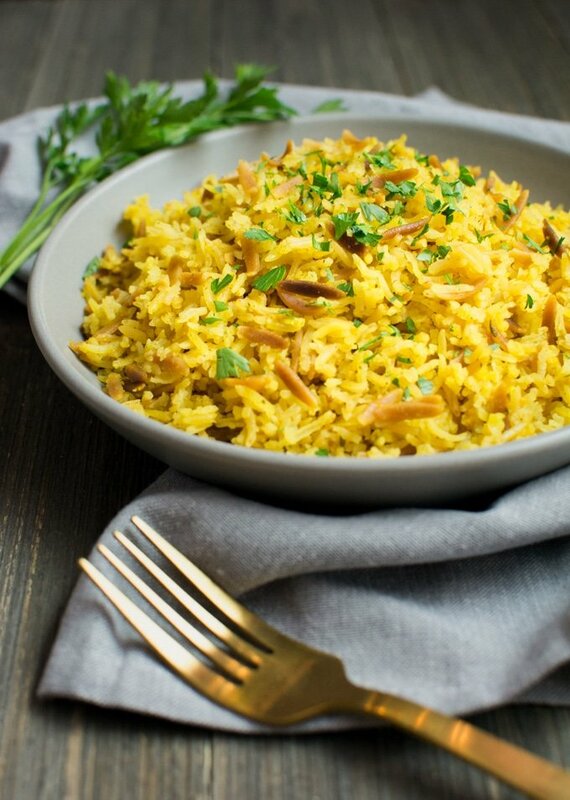 If you love Indian food like I do, then you’ll love these delicious recipes, all vegan and gluten-free. Most people are pleasantly surprised, sometimes even shocked, when they find out how easy it is to cook pasta dishes in the Instant Pot. 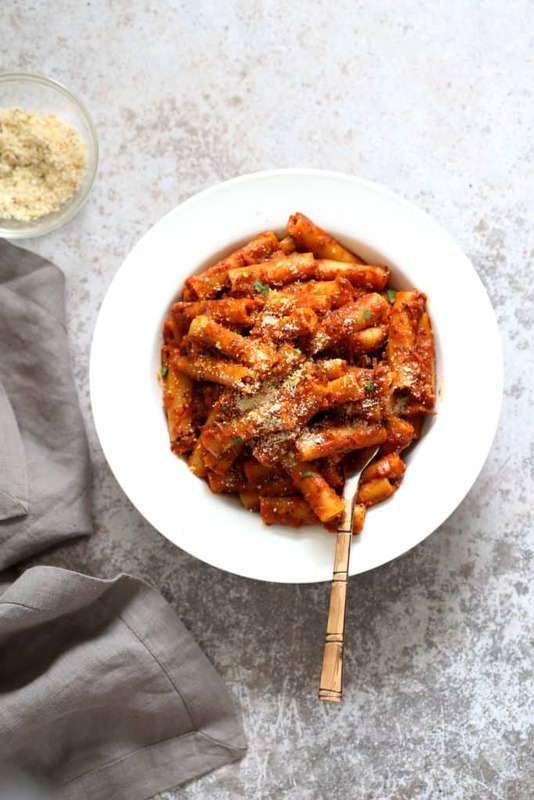 Here are some fantastic vegan pasta dishes that can be made in the pressure cooker. If you want more veggies in your life, you’ll love these vegetable-based dishes that can all be made in the Instant Pot. And, for full meals using beans or lentils, you’ll want to check out some of these lovely vegan Instant Pot recipes. 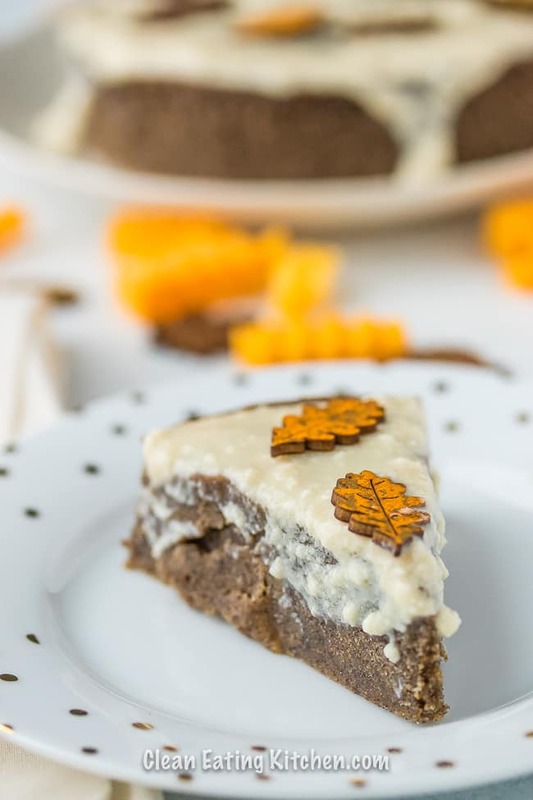 Last, but not least, here are some great vegan Instant Pot dessert recipes. 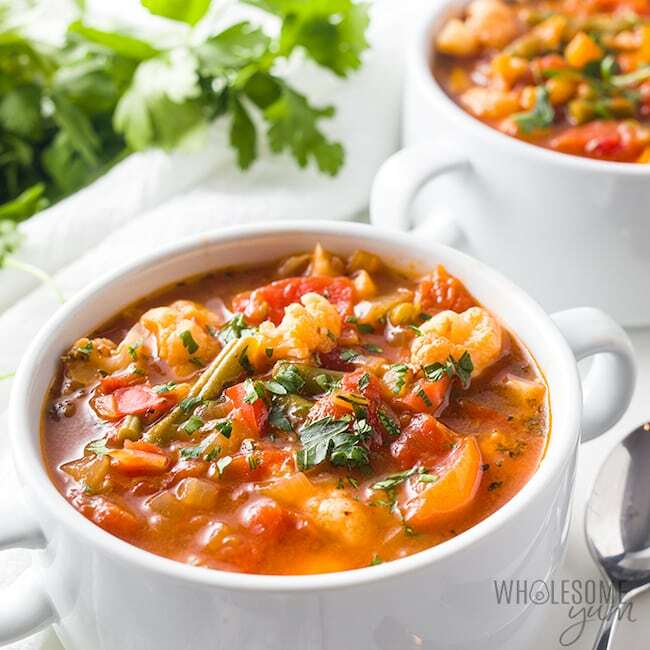 I hope you found something wonderful to make from this round-up of Vegan Instant Pot recipes. I’m so blown away by the range of recipes my fellow bloggers have created. I love the Instant Pot for how quickly it makes food without any loss in the quality. You might also like this round-up post that I contributed to with 41 Vegan Recipes. Lastly, don’t forget, if you are interested in healthy Instant Pot recipes, I’m giving away my Clean Eating Instant Pot e-book. Download it for free after you join my e-mail list. 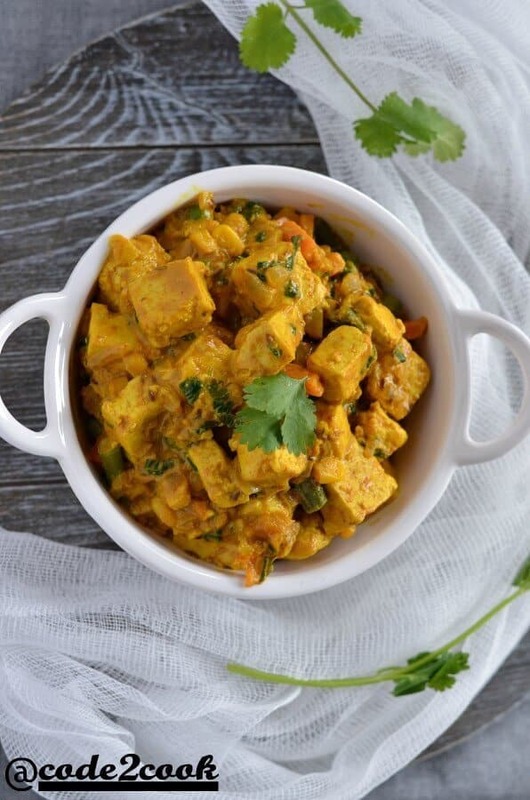 Be sure to pin this Instant Pot Vegan Recipes guide to Pinterest to save it for later. Great round up. So many yummy ideas here. Thanks for including my Mexican casserole! Lovely recipes! Thank you for including mine 🙂 I shared this recipe in face book and Pinterest too. 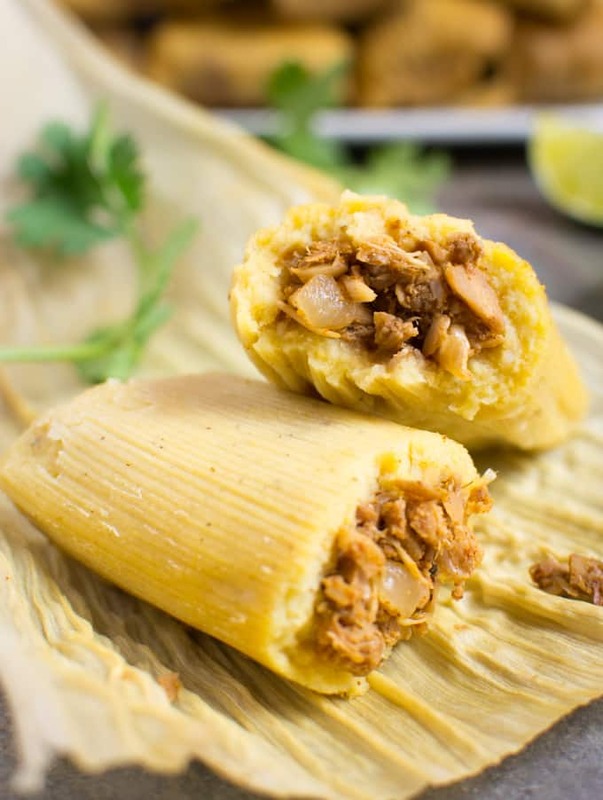 Instant Pot is a great kitchen gadgets. We are instant pot fanatics and it seems like we are always trying to clean up our “eating game”. This incredible collection of healthy vegan recipes is exactly what I’ve been looking for; thanks so much for putting this one together! What a great collection of recipes. I think even meat lovers would find something tasty to try here. I know there are a few dishes I would eat for sure. What a fabulous collection! I love my Instant Pot, and this is a great list to keep bookmarked! Thank you! I love this collection!! I feel like it’s often hard to come up with vegetarian/vegan recipes that use the Instant Pot that aren’t just soup based, and a lot of friends don’t think it’s worth buying one. I can’t wait to send this list to them! A win for the Vegan community! Thanks so much for taking the time to put this together! 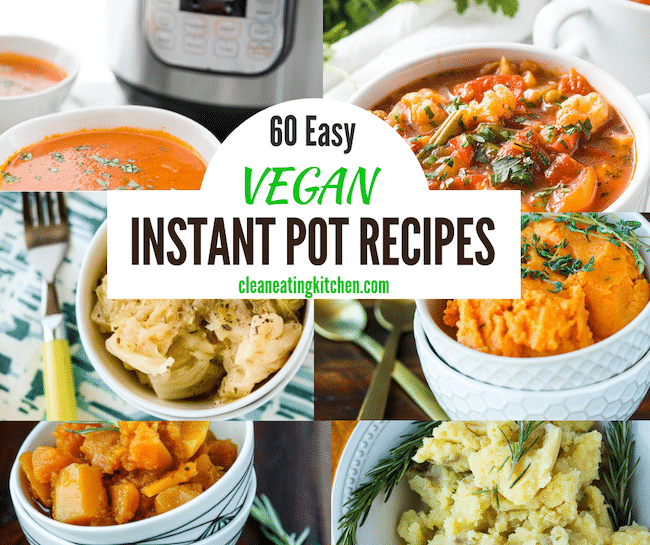 That is the ultimate vegan instant pot collection! Makes us want to get an instant pot , they all look so good! All these recipes look and sound absolutely delicious. You’ve even included desserts. Thanks for this wonderful roundup. Will save it and make them for my family. One by one! I don’t use my instant pot near enough, so I’m always looking for new recipes to try in it! I love incorporating vegan meals into our weekly meal plan, so I’m sure I will find some great ones in this round up! So many great ideas here! 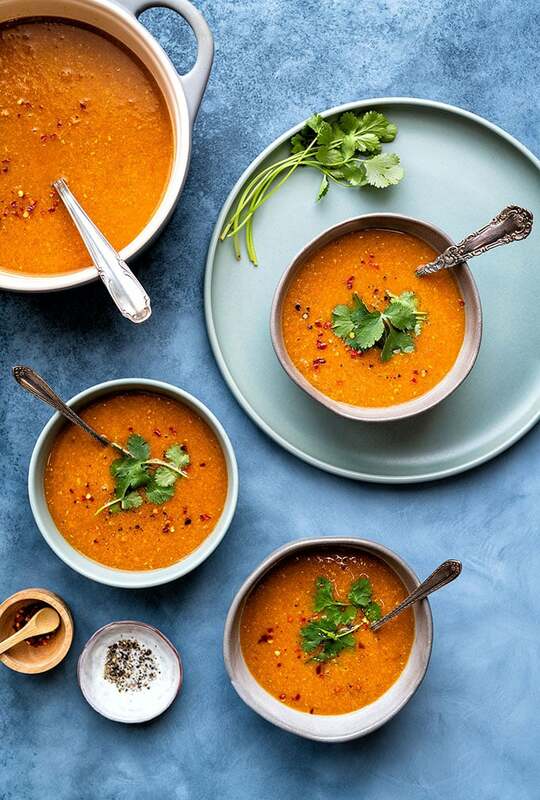 That red lentil soup looks especially good. My IP is gonna get a workout this week! Whoa! So many great ideas! We’ve definitely been working in more meatless meals throughout the week. That red lentil soup is calling my name! 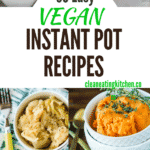 I love the Instant Pot and you have compiled the complete list I need for delicious Vegan recipes! Such a great reference point for amazing recipes!